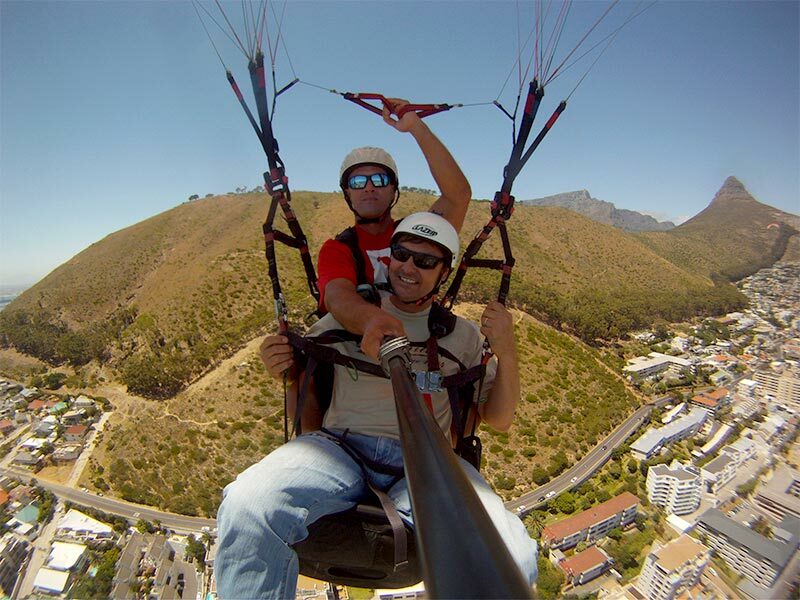 So, here in Cape Town Action Sports and Adventure Activities are mostly about enjoying the great outdoors and a moderate climate. Nothing beats the feeling of free open flight, especially with Cape Town, one of the world's most recognised cities as a backdrop! Hiking Table Mountain and the Hiking trails of the Cape Peninsula. The striking views and natural wonders of the Table Mountain National Park can be enjoyed completely free of charge along most of the many trails that criss cross this very special part of the world. One of the greatest experiences one can have for the very first time, most certainly includes the feeling of flying like a bird – quietly floating over the landscape, peering down on the miniature houses, roads and people below. For the uninitiated flyer, this is entirely possible when taking to the skies along with a well trained tandem paragliding pilot. A couple of companies operate around the Lions Head and Signal Hill area.